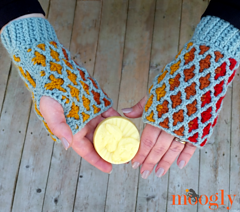 The Love Plus Mitts crochet pattern is for a unique pair of fingerless mitts in 2 adult sizes - teen/small and large. 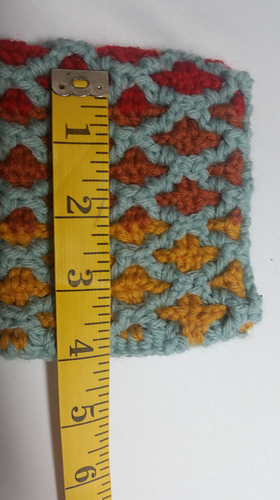 Using an intermeshing stitch pattern, and working back and forth with 2 colors, you can create this gorgeous stitch. This is an intermediate to advanced level pattern, where being able to read patterns is important - the stitches themselves are beginner level, it’s just where you place them! 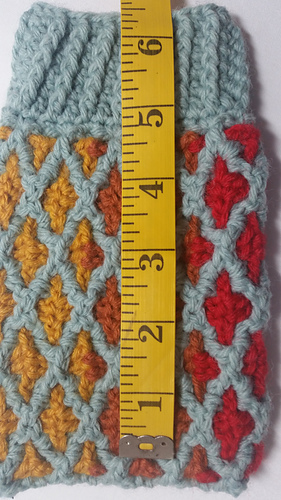 Gauge photos shown on size Large mitts, gauge is the same for both sizes.